Wrap up with a good Book Scarf! Let everyone know about your great taste in books with a page from Jane Austen's Pride and Prejudice on an infinity scarf. This patented Storiarts Book Scarf is cream colored, made from American-made super soft 100% cotton knit fabric, about 63" in circumference and 12" wide. Fabric has been doubled over and sewn along the edge and center to create thick, warm, and moldable "page." NOTE: this seller also has other items gloves, pillow cases and shirts! 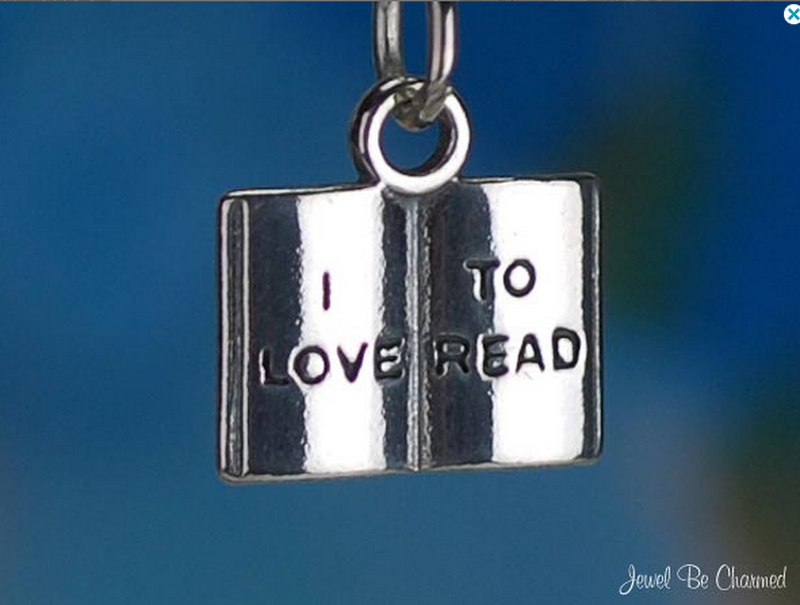 This sterling silver charm shows an open book with the words "I Love To Read" written on the pages. Perfect for a child who is learning to read or for a book lover of any age! The charm measures approximately 13mm tall and 13mm wide. Vintage design and a love for reading inspired these tattoos. Books are important to us and we thought it as about time to add a book lovers pack! 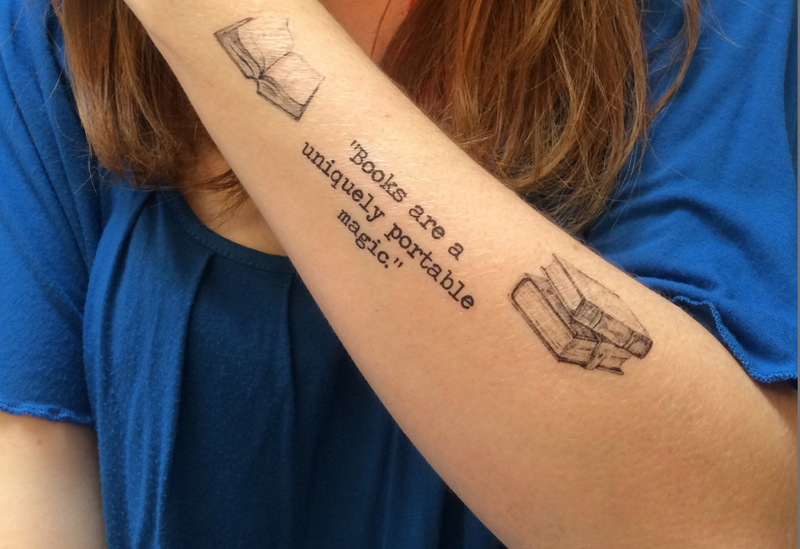 With 2 vintage book designs and the quote "Books are a uniquely portable magic" we can't wait to cozy up with a good book wearing these new tattoos! A perfect gift for your bookworm friend. Perfect gift for a Book lover. 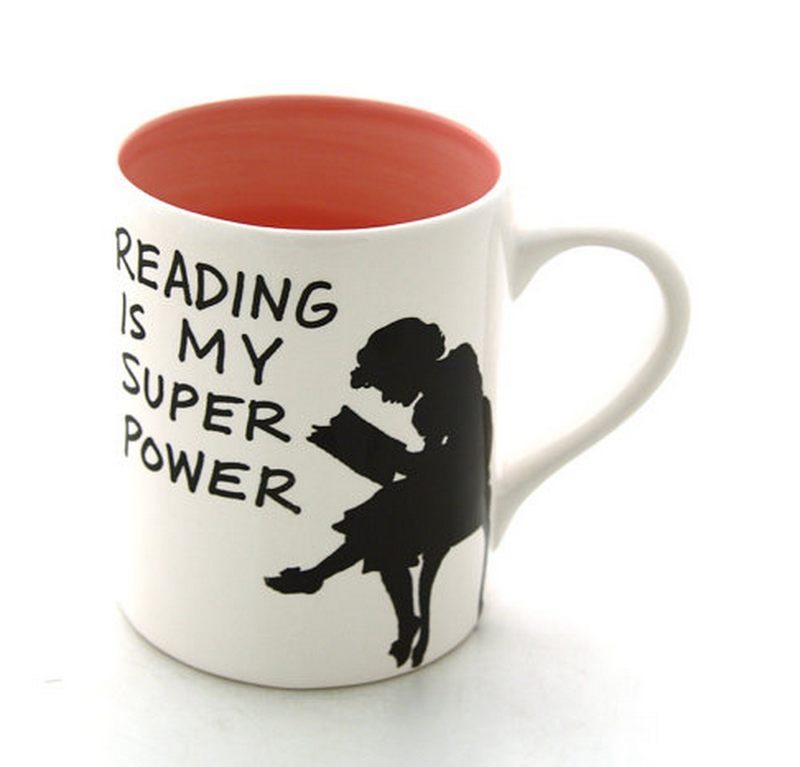 This hand painted earthenware mug features the words Reading is my Super Power alongside a bold black silhouette of a girl with her head in a book . The interior is glazed a cotton candy pink. It measures 4 1/4 x 3 1/4 and holds 16 oz. of you favorite coffee or tea. Check back every Wednesdays for more awesome gift/present ideas for you or the Book Lover in your life!! !